Thank you for attending the Unit Commissioners Meeting on Thursday. Guidepost 1 is due in about 20 days. Please schedule the ‘Unit Reflection’ with your unit leaders and report the results using the JTE2.0 Guidepost Reporting System. The JTE.2.0 Guidepost Reporting System can be found on the Unit Commissioner Tools page of the district website. 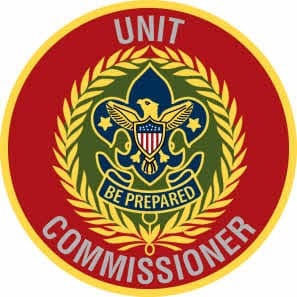 If you need help navigating to the Unit Commissioner Tools page, please use the Unit Commissioner Tool Navigation Guide. District award nominations are due in about 7 days! Commissioners should nominate that deserving unit leader. You are their mentor; please make a nomination at www.lmdbsa.org/recognition. There is a spot on the district website that is the depository of all current articles and emails that I send to you related to your position. It can be reached from the ‘Your Unit Commissioner’ tab, in the blue line. Here is the direct link http://www.lakeminnetonkadistrict.org/category/unit-commissioner/.